More and more tenants in Dubai are increasingly moving from established communities to suburban areas. Landlords in suburban communities are offering relatively new properties at more competitive rents and terms. These neighbourhoods also deliver in terms of lifestyle amenities, facilities and infrastructure. Confirming this trend, a recent report by GCP-Reidin said the ‘suburban’ effect is underway in the Dubai property market, going by occupancy rates in different communities. 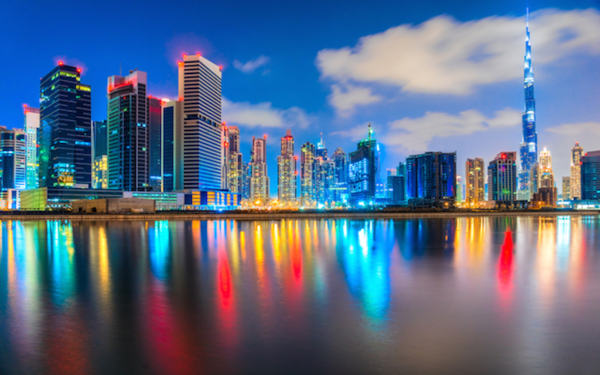 The popularity of mid-income areas such as Jumeirah Village Circle and Dubailand have surged in recent years, having similar occupancy rates of more established areas such as Jumeirah Lakes Towers and Dubai Marina. “With new supply coming into the market in suburban communities, we are seeing tenants shift from established communities to like-for-like product in suburban communities at a cheaper price over multiple cheques. In addition, the majority of suburban areas now have facilities, connecting roads and amenities sought after by the general public, including shopping malls and recreational facilities,” said Lynnette Abad, head of Property Monitor, Cavendish Maxwell. Families are mostly shifting to these suburban communities such as Jumeirah Village Circle (JVC), Jumeirah Village Triangle, Remraam, Dubailand, Dubai Investments Park, Dubai Silicon Oasis and Dubai Sports City, to name a few. “It’s not cheap to bring up a family in any major city and it’s the same here, with the two largest outgoings being rent and school fees. Long gone are the days where it seemed that virtually everyone had these covered with their employment contracts. So, it stands to reason that if there is a viable option where the rents are lower [which is often the case in the more suburban communities], then it is going to be very popular,” said Lewis Allsopp, CEO, Allsopp & Allsopp. In terms of lifestyle, most of these communities have everything you will need, including parks, pools, children’s play areas, local grocery shops, gyms, cafes, restaurants, pharmacies, medical centres, etc. A lot of the communities also have nurseries and schools within them. Road infrastructure has also improved dramatically in recent times and is continuing to do so. Getting in and out of the suburban areas isn’t really an issue. “Yes, it might take slightly longer to get to one of the larger malls or the beach, but it’s a relatively easy journey now and the extra 10 to 15 minutes on the journey is easily outweighed by the benefits. You can also get bigger garden sizes in some of the more suburban communities which is another advantage to families as it’s a safe place for their children to play,” added Allsopp. Another advantage of properties in the newer, suburban communities is that they are mostly either new or only a couple of years old. In more established areas, properties have reached a stage where they are in need of renovation. “The rapid rate of change in the suburban areas is testament to the population’s need for a more balanced housing market that is more affordable. It is also indicative of the overall surge in demand for housing that is latent in the demand curve and has been systemically and systematically been underestimated by the analyst community. We opine this trend will continue further, mitigating concerns of oversupply,” said Hussain Alladin, head of research, GCP Properties. According to research by Core Savills, most of the new supply in Dubai in Q2 2017 was concentrated in suburban communities such as Dubailand, Dubai Silicon Oasis, JVC and International City. This new supply is offering more choice and good deals to tenants, both in terms of the rental amounts and incentives. Popular incentives being offered by landlords include 13 months for the price of 12 or providing all the white goods for a property. “Landlords need to price competitively, be flexible with their terms and creative with their incentives,” observed Abad. “A lot of landlords will have a mortgage to pay, so a property sitting empty is not an attractive proposal for them. It’s best to get a good tenant in as quickly as possible. A potentially higher rent that can be achieved will have its benefit wiped out by a mortgage payment that the landlord had to pay while the property was empty,” explained Allsopp. A significant amount of supply is likely to come into the suburban market, however not all will be released as developers will delay projects for various reasons such as financing issues, contractual disputes, construction delays and licensing/approval delays. Some developers also tend to hold back completions to avoid flooding the market. “More supply, hence more options for tenants, will stimulate the rental market, bring prices down and put more disposable income into a tenant’s pockets. In addition, it will open the Dubai rental market to tenants who moved to other emirates when rents were too high in Dubai. Before, landlords had the upper hand and tenants were paying sometimes up to 35 per cent of their salary on rents in one cheque. With new supply released in suburban areas, rents have gone down in these areas and the pendulum has clearly shifted to tenants,” concluded Abad.